Inspired by Fabric: Who knew veggies could be so fun?! 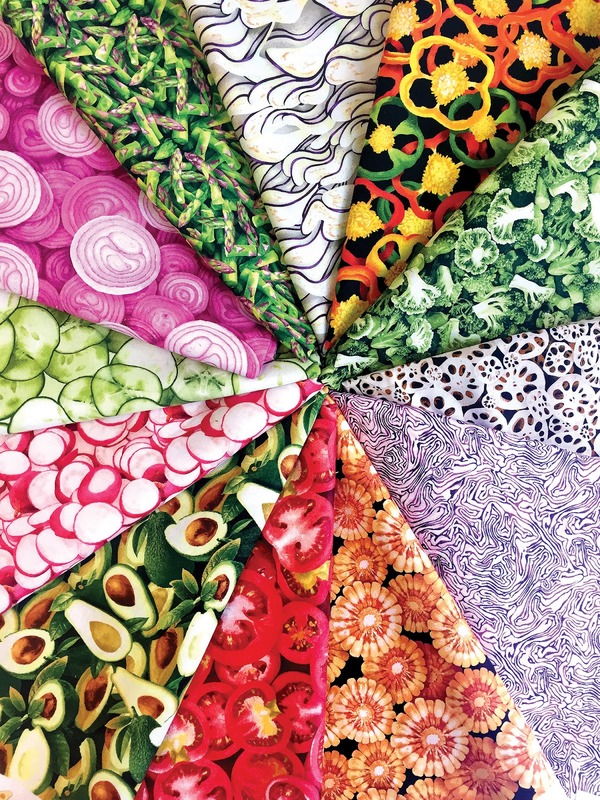 Even if you haven't jumped on the clean eating bandwagon, you can embrace the veggie prints of our Market Medley collection! Fall in love with the rippled eggplant slices, translucent cucumbers, creamy avocados, and juicy tomatoes. Play with the cool textures of the lotus root, red cabbage, and corn cob slices. All we need is a good veggie dip! Download our FREE Market Medley quilt pattern! 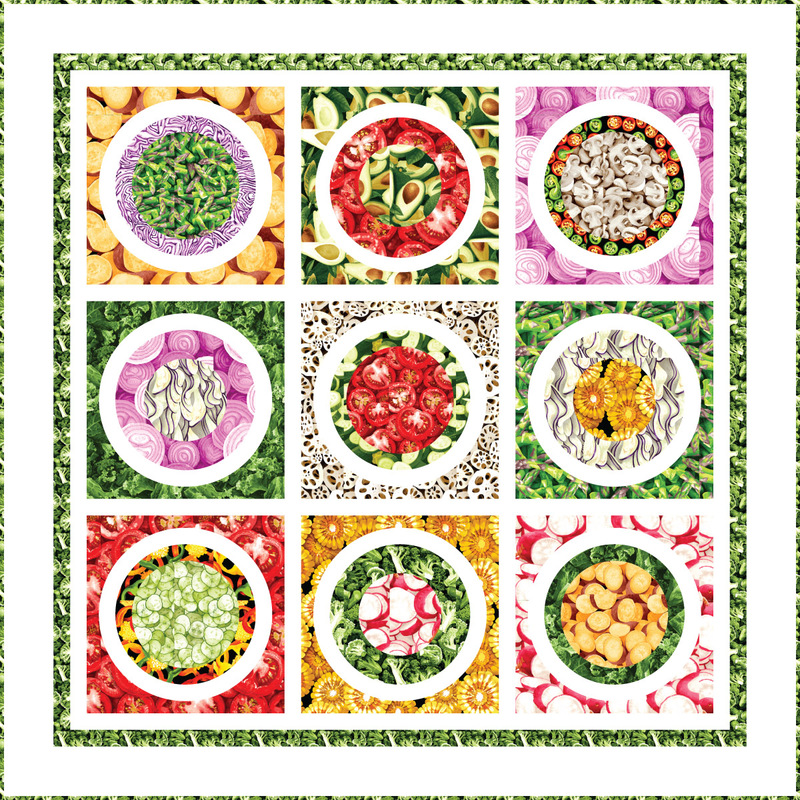 Use the Market Medley prints to make the "Small Plates" quilt pattern, designed by Lisa Swenson Ruble. This graphic quilt is easy to make--fusible applique circles layer to create each block. See the entire Market Medley collection here and ask for it at your local quilt shop. 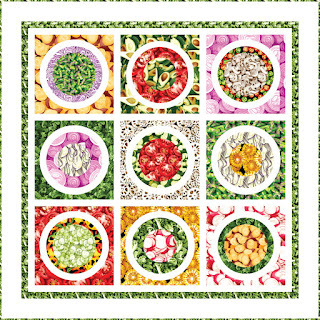 Find the free Small Plates quilt pattern here.